A UNIQUE WEDDING. That’s all I can say. 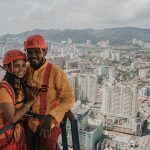 Couple took more than a year to plan their dream wedding and this was how it turned out to be. Antique theme, from dressing, top to toe, props and decorations, everything took ample time to source. The couple really did put a lot of effort to make this happen. Here is the outcome, so just enjoy the pictures! 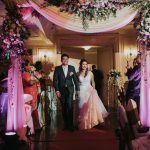 MomentoWedding covered photography as well as videography on the wedding actual day and wedding reception. On top of that, we also covered Momento Photo Booth during the reception at Tian Tian Restaurant, Red Rock Hotel. Helping couple to entertain their guests is our job. We are glad that couple is very happy with the outcome and we are getting favourable comments from them. Thanks John. More blog posts are coming soon. Hi, may I know your packages please? Hi Berry, thanks for your inquiry! Already sent you an email. Kindly take note. Do you take PreWedding pictures as well? Can you email me the offer please? 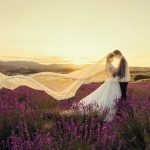 Hi YM, YES – we do offer PreWedding service. Sent you an email with packages. Hey! Can I re-post this post on my Facebook? I like the pictures a lot. I love the pictures a lot! Can you give me your Actual Day and PreWedding Packages please? Hi Katherine, thanks for the compliments! I’ve sent you an email, kindly take note. Thanks!